If you've spent most of your adult life waiting for an owl to drop your Hogwarts acceptance letter down the chimney, I've got bad news: You're delusional. But, I also have good news: You can now actually live out your delusions with a dozen of your closest friends at a delightful Potter-themed bed and breakfast in South Wales called Llety Cynin (a name worthy of JK Rowling herself). According to Tasting Table, the UK-based B&B is celebrating the 20th anniversary of the first Potter book (The Sorcerer's Stone, or The Philosopher's Stone, depending on your country) by turning portions of its space into a Hogwarts-esque fantasy. It's for fans who would sell their left bludger to cozy up in the Gryffindor common room with a piping-hot mug of butterbeer. 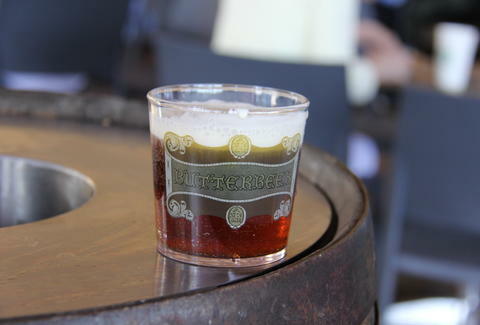 The "Wizard's Tea" events are being held twice weekly, with an ogre-sized array of Potter-themed foods like chocolate frogs, mandrake cakes, Aunt Petunia's trifles, and obviously the aforementioned piping-hot butterbeer (it's not a party without butterbeer, guys). If you find yourself compelled to head out to South Wales to live out your childhood (or current... don't be ashamed) Potter fantasy, you can book a slot here. Upon arrival, they'll even sort you into a house. Just pray you don't end up in Slytherin. Or with those Hufflepuff goody two-shoes. Or those snooty Ravenclaws, too. Actually, why does anyone want to be in a house other than Gryffindor in the first place? On second thought, I don't care.